1. What is your medium term (9-12 months) outlook for the real estate market in India in general and West India in particular? Metros: The Metros shall see a growth of 4-5% at the maximum, since most of the places have achieved a peak in these areas and buyers today don’t prefer to invest in an avenue with such minimal return. However the rates will not come below the existing levels since all the buying is now need driven in these areas and no longer investor driven. Furthermore, any new projects will concentrate on the size of the units being more compact keeping the total budget of the buyer in mind. MMR & Periphery: The Affordable housing segment will see a growth of around 15-18%, as long as the homes are within a radius of 3 kms from a Highway, Local Rail Network or Bus Stands. The demand will be fuelled by the MIG-LIG looking at encashing on their existing homes in the metros and migrating to a smart-city concept at the outskirts of the Metros. 2. What is your opinion on luxury or public housing? As a developer, which is more sustainable? As a developer, Public Housing is where I would bet my money on. Simply put, Housing is first a necessity and then a Luxury. The market for 'below Rs.10 Lac' house is huge and it’s a segment that looks at putting their hard-earned money in a value asset rather than luxury which depreciates over a period of time.Buyers today prefer to buy a budget home and the money they save in the bargain is spent on better education, healthcare, travel and other investments. 3. Having so many projects completed in Mumbai and if you can specify the cities, which of the other cities do you think home buyers should opt for a property purely from Investment purpose? Nasik, is still a city which is untapped and undermined till date. The connectivity by road, rail and air is great. The climatic conditions are conducive, the best educational institutes and healthcare facilities are already present there. Above all, the Municipal Corporation has also implemented building rules similar to strong Metro cities like Runwal My City Mumbai, thereby allowing very modern building designs. It is just a matter of time for the industry set-up process to complete and once the IT and manufacturing industries start operations in full swing, the prices will see a steep rise. 4. The number of unsold inventory is increasing in Mumbai and Navi MUmbai. What could be the reason behind this? Just the soaring property prices or any other factor attributing to it? Big-Ticket size of the Flats: A careful study of the Inventory pile up clearly shows that the units which are lying unsold are the ones which have been planned with bigger than required carpet areas. Hence rendering them out of budget for the actual end-user they were targetting. Additional Cost of Luxury: A majority of the developers have started adding certain luxury fittings and amenities to their projects, which eventually add a significant cost to the flat, plus the future maintenance burden is unavoidable and these additional amenities do not help in the appreciation of the flat value. Thus the buyers are shying away from these projects. 5. What policies you look forward to from the government and RBI that will be a relief to home buyers across India? 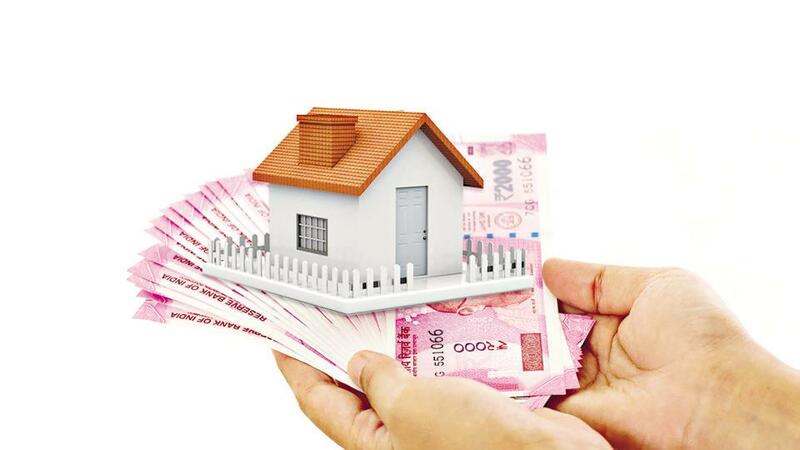 The government should reduce the Stamp Duty, Registration, VAT & Service Tax, since these escalate the prices by atleast 11% .This will encourage the buyers to register their purchase without having to worry about the added cost.The RBI should encourage lending to budget homes by reducing the interest rates, increasing the repayment tenure, increasing the financing limit to 90% of the total cost of the house and also by increasing the exposure cap to real estate by allowing banks to increase their home loan lending. 6. What is the current trend in the commercial real estate market?How are developers meeting the increasing demand of the corporate sector?Which are the upcoming corporate bases? In Mumbai, the corporate shift has been evident based on the line of business. For example the Television and Film industry has moved to Andheri, the banking and financial sector has shifted to BKC, call centres and back office operations have shifted to Malad.Developers are catering to these companies by providing them with buildings designed as per international standards and also providing customized designing if need be. 7. What can the home buyer expect from Zara Habitat over next 1-2 years? 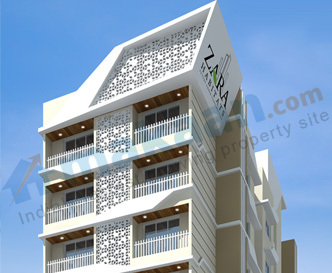 You can expect 'Smart Sized' homes from Zara Habitats, at all of our projects at Mumbai, Nasik or MMR. By 'Smart Size' we aim to offer homes to buyers which fits their budget ,and is planned with zero space wastage . We plan to offer 1 bhks's with unrestricted sea and skyline view in our projects at Dadar, Parel and Matunga, which are all prime locations in the city. Zara Habitats is driven by a foresight that it’s not just a piece of land under development, but the buyers future under construction. With its eye on the horizon, the apartments boast of an unencumbered city and sea view from a height above the others. Zara Habitats strives to offer its buyers a unique space proposition that none of its contemporaries are able to provide. For instance if I were to talk about “Horizon” which is one of our prime properties at Dadar, I’d say that the project’s location is the key factor in its uniqueness. It promises to provide every buyer with a valuable piece of real estate in a sought after locality, which otherwise was out of reach for a genuine home buyer in Mumbai. Ideal sized 1 BHK aimed at providing optimum usage space to the end user at a location in the centre of the city is what Horizon would boast to deliver to its inhabitants.